A proprietary formula of Australian Eco-Harvest tea tree oil combined with organic lavender, chamomile and calendula essential oils is the secret to the success. 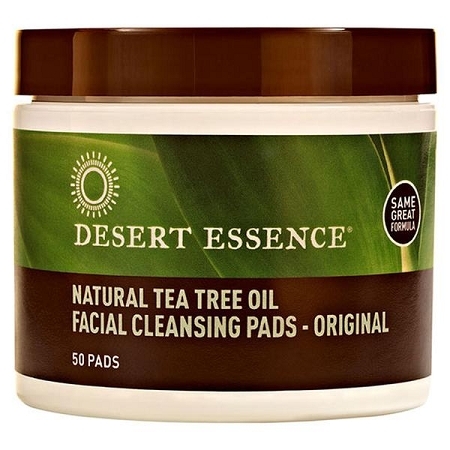 Used regularly, these convenient pads help improve skin texture, clarity and radiance. INGREDIENTS-Witch hazel extract, organic grain alcohol, eco-harvest tea tree leaf oil, organic calendula flower oil, organic chamomile (anthemis nobilis) oil, organic lavender (lavandula angustifolia) oil, organic lemongrass oil, chamomile extract, goldenseal extract, Hawaiian white ginger root extract, bladderwrack extract, neem seed oil.